Only available for alloy wheels. Manufactured by McGard for Hyundai Motors. Please add this item to the shopping cart to select a model. 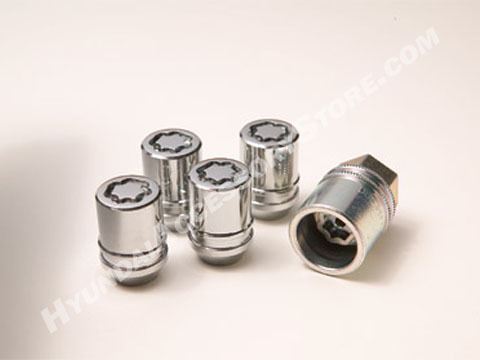 The wheel locks are the most inexpensive form of insurance that you can buy to protect your vehicle. Easy to install and an added layer of security. Worth the small expense! Should come as a standard feature!